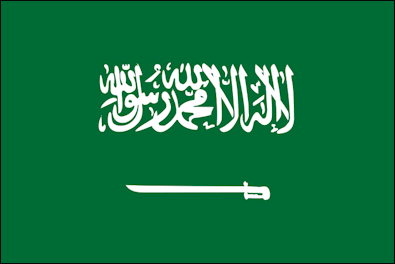 The execution of 47 people by the Saudi authorities on the 2nd of January 2016 reinforces my deeply held conviction that the death penalty should be abolished. No State should have the power to impose the death penalty on anyone. It is a right that can be abused and misused so easily. As of now, 140 countries have abolished the death penalty in law or in practice. In Saudi Arabia, on the other hand, the number of people put to death by the State has seen a big increase, from 90 in 2014 to 157 in 2015. Another country in West Asia which had also executed a huge number of people in 2015 is the Islamic Republic of Iran: 694 between 1 January and 15 July. The death penalty has not been able to deter Iranians from committing many of the crimes for which the law has been enacted. In the case of Saudi Arabia, we are told that the 47 men executed were associated with “terrorist organizations” or groups espousing the “takfiri” ideology which condemns Muslims who do not subscribe to their bigoted, dogmatic thinking as “apostates” or with “criminal plots” that endangered national security. In many instances, little evidence was offered to substantiate these allegations. The trials that were held fell far below accepted international standards. Both Amnesty International and Human Rights Watch raised serious doubts about the manner in which the most famous of the 47 executed persons, the well-known Shia cleric, Sheikh Nimr al-Nimr, was sentenced to death in October 2014. Nimr was a consistent advocate of peaceful reform. He urged the Saudi authorities to hold free and fair elections. He was of course critical of the Saudi ruling class but there is no record of his involvement in any act of terrorism. It is in a sense ironical that the Saudi authorities should execute people for involvement in “terrorism” when there is overwhelming evidence to show that individuals and groups from the elite stratum of Saudi society have been sponsoring and providing financial support to terrorist outfits in Iraq and Syria. It appears that terrorism has become a convenient excuse to target non-violent dissent directed against Saudi elites. In the guise of combating terrorism, both Sunni and Shia critics committed to peaceful, democratic change have been eliminated. What would be the consequences of the mass executions of 2 January? Dissent which has existed in Saudi Arabia for decades but which has become more pronounced in recent years will become less conspicuous for a while at least. But there will be eruptions from time to time especially in Shia areas such as Qatif. At the regional level, Saudi Arabia has already severed diplomatic ties with Iran in the wake of the firebombing of its Embassy in Tehran and its Consulate in Mashhad. In this regard, destroying the Saudi Embassy and Consulate was a clear violation of diplomatic norms. Knowing how volatile the situation was in the aftermath of Nimr’s execution, the Iranian government should have done much more to protect those Saudi entities on Iranian soil. It is commendable that President Hassan Rouhani has condemned the firebombing episodes. Saudi-Iran relations which have been deteriorating for a number of years now, will worsen further. The power struggle between these two regional actors will become even more bitter — and bloodier. It will be felt not only in Syria, Iraq and Yemen which are all caught in the throes of actual armed conflicts but also in Lebanon with its perennial inter-community tensions and Bahrain which may erupt yet again. Underlying this power struggle between two states are sentiments related to the Sunni –Shia schism at the forefront of which is Sunni Saudi Arabia poised against Shia Iran. The Sunni-Shia population mix in all the above states — some are Sunni majority others are Shia majority — can lead to sectarian conflagrations that are capable of tearing asunder their social fabric. They may well have repercussions in countries outside the region proper such as Afghanistan and Pakistan which have a significant Shia minority. Even in societies in which the Shia element is miniscule — Indonesia and Malaysia being two examples — the manipulation of majority Sunni sentiment against the Shia can generate unnecessary tension and friction. All in all, Sunni-Shia conflicts, actual or potential, will weaken the Muslim Ummah (community) to such an extent that the solidarity and cohesiveness that the community yearns for will become an even more distant mirage. In such a situation, it will be vulnerable to all sorts of manipulations and machinations by external forces abetted by internal elements. The Ummah would be at its nadir, much to the delight of its enemies. While all this may manifest itself in the medium and long-term, the immediate consequence of the execution of the 47 could be a more determined push by the Saudi rulers, in collusion with the Israeli elite, to thwart the implementation of the Iran nuclear deal. Since both the Saudis and the Israelis realize that the nuclear deal could change the power balance in the region, their aim would be to exploit the deterioration in ties with Iran to keep Iran in perpetual isolation. There may even be lobbies in Washington working with the Saudis and Israelis to achieve this, given some recent US moves against Tehran. This is why the situation that is unfolding from the execution of the 47 may generate much more upheaval in the most conflict prone region of the world that is already drenched in the blood of millions of innocent human beings.